400 Gradi are a hard-working and humble family-owned business that has been in the works for 20 years. 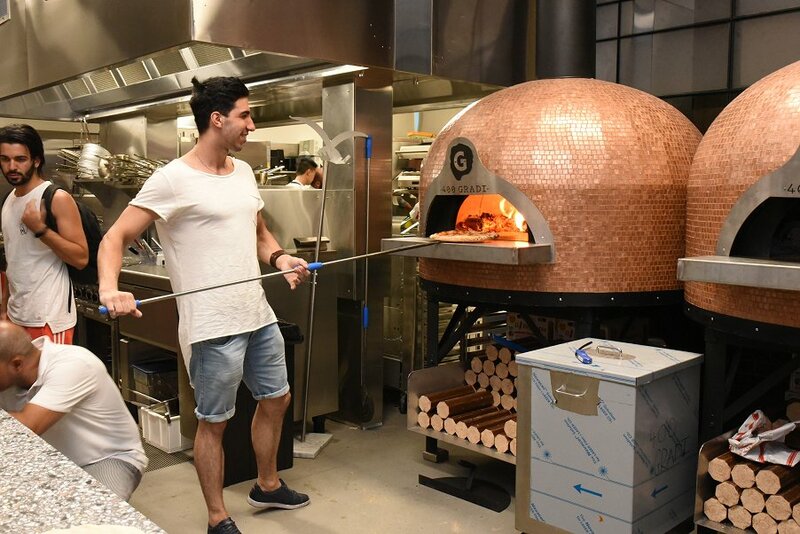 With four restaurants delighting Melbourne, 400 Gradi has brought their fantastic restaurant to Adelaide for their first interstate venture. Adelaide Food Central were invited to their media launch to meet the lovely owners and taste their award-winning food. 400 Gradi all started with the love and passion for Italian food; along with a desire for a pair of Nike sneakers. Johnny Di Francesco started in the restaurant business at age 12, where he worked as a dishwasher to save up money for sneakers. After working hard and becoming inspired by Italian cuisine, he decided that he wanted to build his own business. He went to Italy to be trained in traditional Italian cooking techniques and methods, and then brought those traditional tastes back to Melbourne. When Johnny was 20, he started his own business with his wife, Maria. That business flourished to become 400 Gradi in 2008, where they opened in Brunswick, Melbourne. 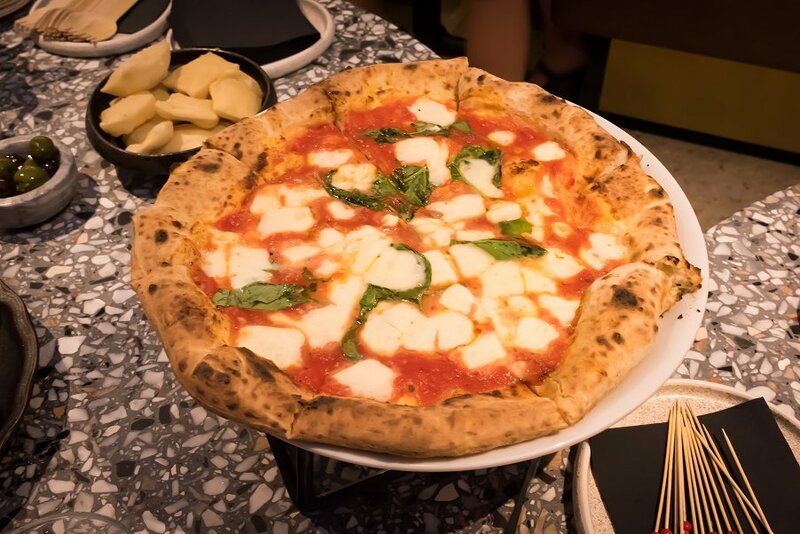 The name ‘400 Gradi’ comes from the actual temperature at which a traditional Neapolitan pizza is cooked! From their passion and love for food, 400 Gradi expanded into 4 other stores in Melbourne and even on P&O’s Pacific Explorer cruise ship. Both Johnny and Maria are very hands-on in their business and have worked so hard to get where they are today. It is their fierce love for Italian food, their business and their staff that makes 400 Gradi one of the best Italian restaurants in the business. In 2014, Johnny was crowned the World Pizza Champion at the Campionato Mondiale Della Pizza in Italy. Johnny’s Margherita pizza won out of 600 other competitors from 35 countries. He is the first Australian to have won! Fusing the beautiful flavours of Italy with Adelaide’s fantastic wine scene, there is no question as to why 400 Gradi wouldn’t be here. Johnny said that he “loves Adelaide for its fresh produce” and that 400 Gradi prides themselves on using fresh and local produce for their iconic dishes. Johnny, Maria and the 400 Gradi team are like a huge family. Johnny and Maria’s daughter even works in their gelataria, right next to 400 Gradi on Brunswick. The owners and staff work very closely with one another to give the best dining experience for their customers. “We are humble, real people, and very proud. We take nothing for granted and can’t wait to see where it will all end up.” Said Maria. 400 Gradi have also gone international, with the first restaurant opening in Bahrain in 2017. They have plans to move to Kuwait, New Zealand and Dallas, Texas. Such an amazing and deserved feat for such a genuine and widely-loved business. 400 Gradi opens on Monday 21st January 2019 on the Parade in Norwood. They are open Sunday-Thursday from 12pm to 10pm and Friday-Saturday 12pm-11pm. A huge thank you to 400 Gradi for having us in their media launch, we can’t wait to return!